fantasy | Larry Atchley, Jr.
Join the Bedford Public Library and the Bedford Library Friends March 23rd for a daylong event celebrating more than 30 local authors and their books. Among the activities for the day will be readings by the authors, free workshops, author signings and maybe even a giveaway or two. Among the genres and interests represented by these authors are children’s and middle grade readers, young adult, romance, Christian fiction, poetry, fantasy and science fiction. 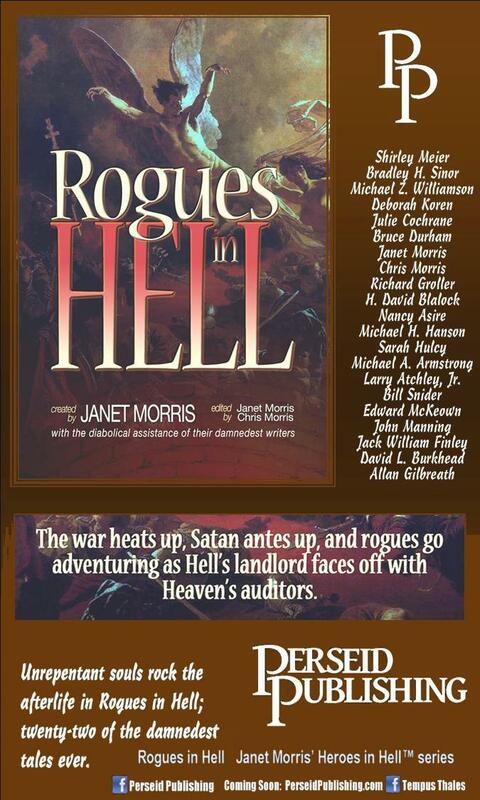 Many of our guest authors have published in anthologies before. 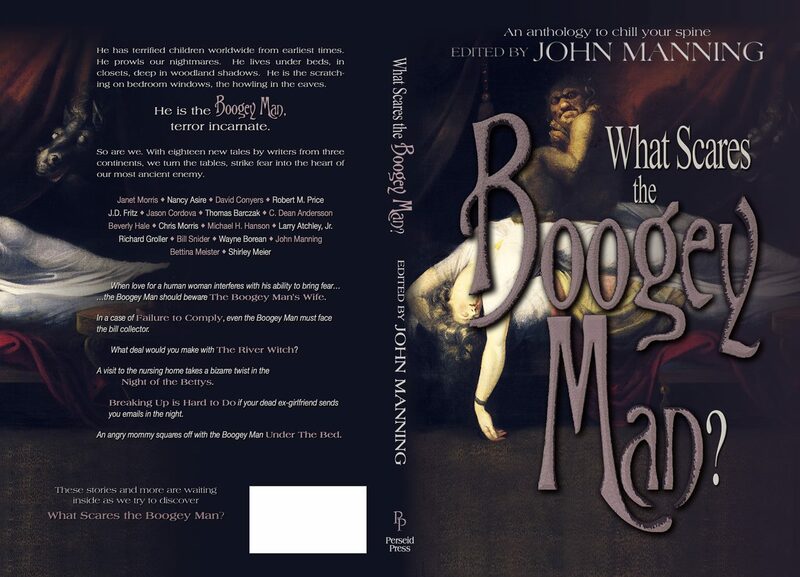 They also have experienced what works and doesn’t work when writing for anthologies – and how to get them out to the public. Our panelists go over tried and true methods for getting into anthologies and then getting those works out to everyone else. 12 pm: The Fight of the Century II: Urban Fantasy vs Paranormal Romance! Panelists: Urban Fantasy: Stina Leicht (M), Rachel Caine, Larry Atchley, Jr.
Last year, this panel sparked quite a debate and proved that some basic rules were needed. 1) We’re assigning sides for our authors to defend – and perhaps we will actually find out where the line between Urban Fantasy and Paranormal Romance is! 2) You’re not allowed to switch sides until AFTER the panel. 3) You do not talk about Fight Club. Bring your own popcorn. Saturday at 2:00 PM I will be signing books. 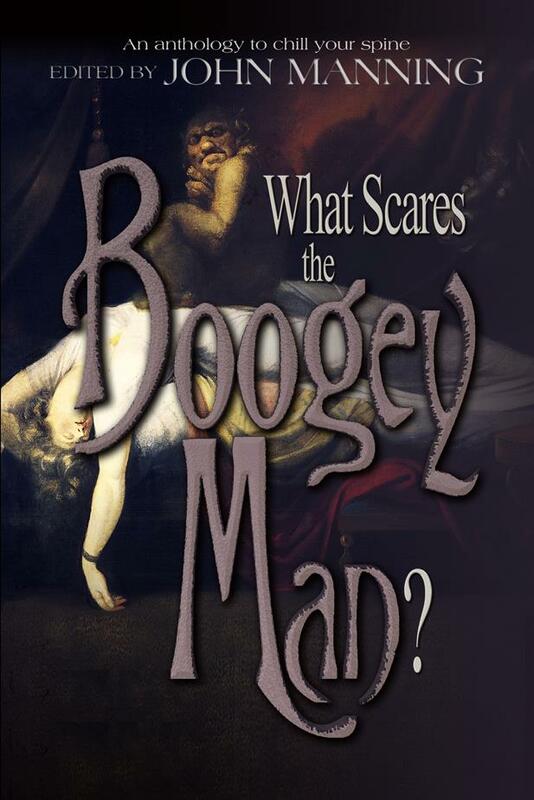 Saturday at 5:00 PM I will be doing a reading from one of my stories. Which one will it be? Even I don’t know as I haven’t decided yet, so come and listen and we will both find out. When I’m not at these events, I’ll either be wandering around attending various panels, or in the dealers room where I will be selling and signing copies of the anthologies I have stories published within: Lawyers in Hell, Rogues in Hell, Sha’Daa: Pawns, and What Scares the Boogeyman? I’m looking forward to seeing my two biggest fans and friends there, Jenn Monty the Brewed Bohemian blogger and writer and Tiffany Franzoni, owner of game store Roll2Play who will have lots of game goodies on sale in the dealers room. A good time will be had by all. I hope to see you there. “Crackling fire in the fireplace, hot tea in an old mug, in the cold dead of Winter, telling tales no mortal man should ever tell.” –Larry Atchley Jr. I will be attending All-Con in Dallas this weekend and will be there Friday evening, and all day Saturday and Sunday. 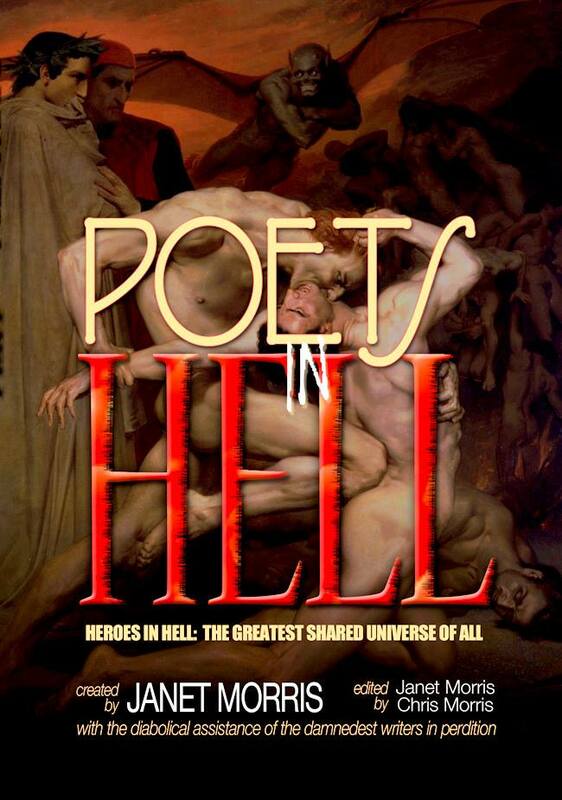 I will have copies of the shared world anthology Lawyers in Hell which includes my first ever published short story, “Remember, Remember, Hell in November” with me available for purchase. I will also be a guest panelist at 4:00 PM on Saturday discussing the topic of writing for a shared world anthology. The annual All-Con convention is all about creating fun for fans of Science Fiction, Fantasy, Renaissance, Anime, Costuming, Theater / Performing Arts, Mystery, Art, Crafts, Collecting, and Film Making. So there is something to see and do for just about everyone at All-Con. It is located at the Crowne Plaza North Dallas at 14315 Midway Road, Addison, Texas 75001. The fun and events start at 10:00 AM Friday and run until Sunday at 6:00 PM. If you have never been to a fan convention, this is an especially awesome one to attend. There will be plently of fans in awesome costumes, especially from Star Wars, since the 501st Imperial Stormtrooper Legion will be attending. Also performing at All-Con is one of my favorite dramatic comedy acts, The Damsels of Dorkington. Don’t miss their shows, they will make you laugh until you can’t breathe. And check out the Dealers Room for the Roll2Play booth for everything to do with games, games and more games. Tell Tiffany I sent you. 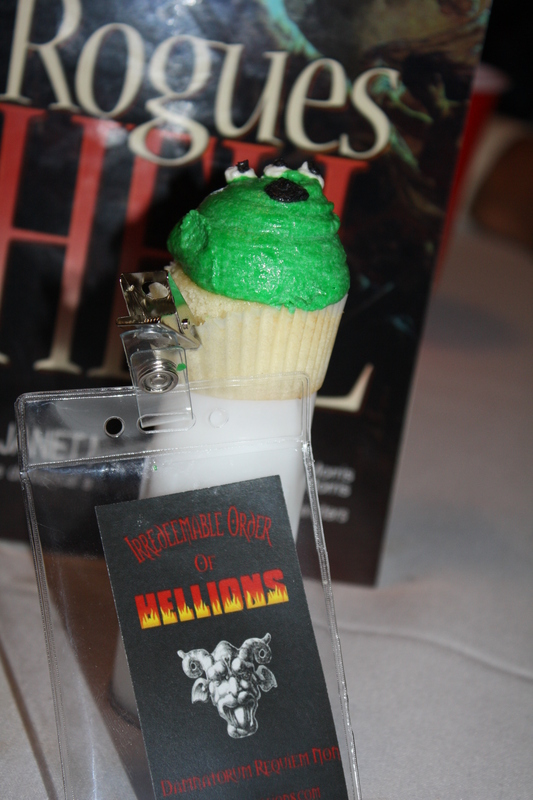 I’ll have postcards with the logo for the Irredeemable Order of Hellions available to give out as freebies. Look for me this weekend in my “The Shadow” costume. I hope to see you all there!